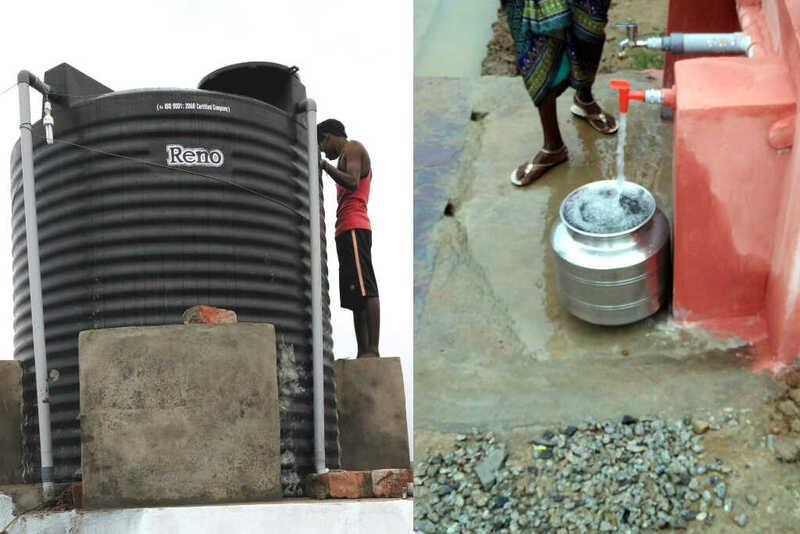 In Gudupadi Cheruvu, Andhra Pradesh, a huge step forward has been taken in terms of drinking water supply for the village. Previously, it was a tricky problem, as in summer, the water would become scarce, especially with no groundwater recharge happening because of droughts. Then, on top of that, water was collected directly from a motor pump which resulted in wastage due to the way the pump had to be turned on and off just to get supply going. Now, a series of tanks has been installed which also brings the benefit of 24-hour drinking water supply for all people. There is one main overhead tank fed through a borewell, and which in turn supplies water to the six tanks on the ground. 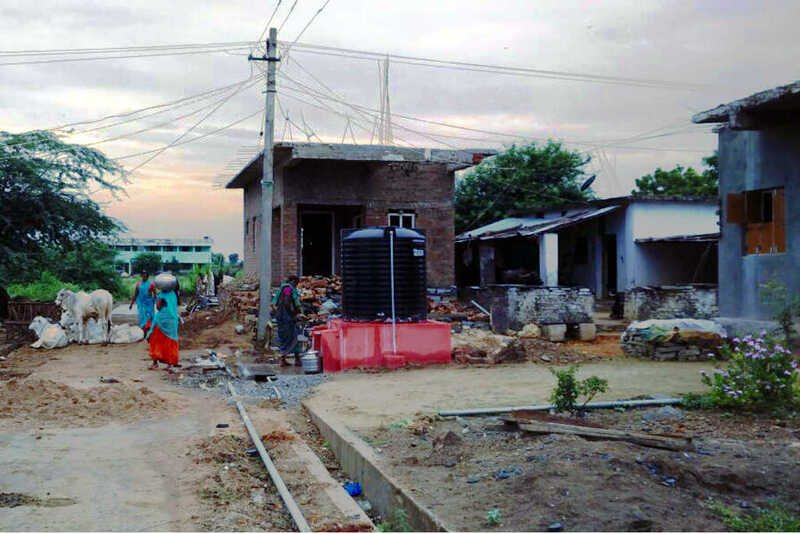 These six tanks have been placed strategically in the village to serve the entire population. In order to achieve the success of this project, the villagers joined a team with members from the Amrita Center for Wireless Networks and Applications and Amrita SeRVe. In order to maintain the supply, villagers are also adopting ways in which to conserve fresh water.